I think this is an Oleander Butterfly also known as an Australian/Common Crow, as with much of the wildlife in Australia you can never be quite sure. The Oleander is inedible so many fatter, juicier and generally tastier butterflies have evolved to look like it. 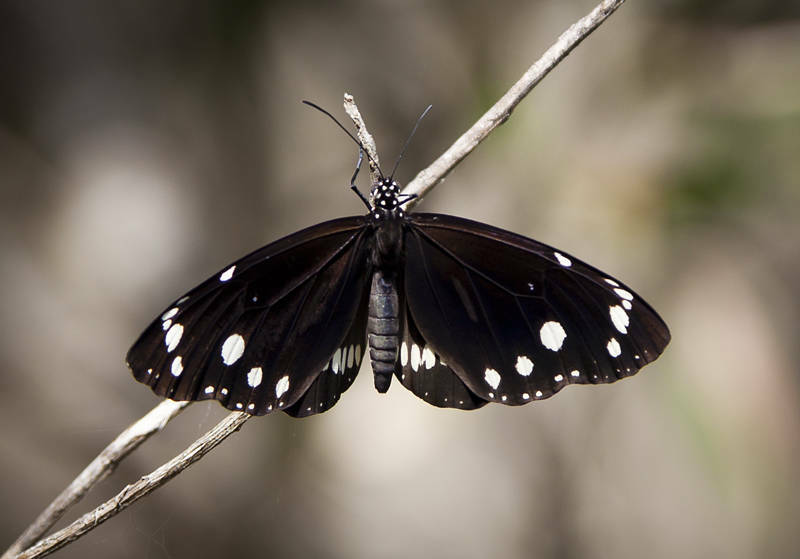 I am fairly certain this is the real thing as I often see them fluttering around the Oleander hedges outside our flat in Queensland. However this one was shot in New South Wales and looks a little plumper than your average Oleander. What do you think ?